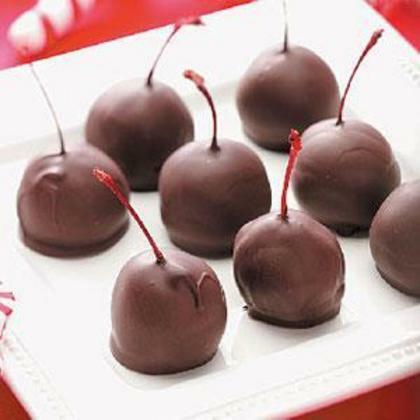 Cherries were brought to America by ship with early settlers in the 1600s. Darker cherries have higher antioxidant and vitamin levels than lighter ones, but sour cherries have far higher levels than sweet. The main kinds of cherries can be found growing on tall trees that range between fifteen and thirty meters tall. Asian varieties, such as the Japanese Sakura, (known colloquially as the cherry blossom) are well-regarded for their long, weeping branches filled with small pink flowers. 1871. I can remember, as a kid, kneading a plastic pouch of margarine, with a red dot of food coloring, to distribute the color throughout the margarine. The dairy industry was able to have laws passed that prevented manufacturers from coloring the margarine. (The natural color of margarine is white). 1888 The first patent for wax coated paper drinking straws (made by a spiral winding process) was issued to Marvin C. Stone of Washington, D.C.
1892 John Ronald Reuel Tolkein was born. Author of ‘The Hobbit’ and ‘Lord of the Rings’ trilogy. Food and hospitality play important roles in both. 1921 Studebaker announced that it would stop making farm wagons. Studebaker began making horse drawn wagons in 1852, and started experimenting with the new ‘horseless carriage’ in 1897. 1980 Joy Adamson died. Naturalist and author of ‘Born Free’ about Elsa, a lion cub. She had also researched culinary and medicinal uses of various plants in Kenya. 2000 Charles Schulz created his last ‘Peanuts’ comic strip. 2002 Alfred Heineken died. Grandson of Gerard Adriaan Heineken, the founder of Heineken Brewery. Alfred was president of the company from 1964 to 1989.